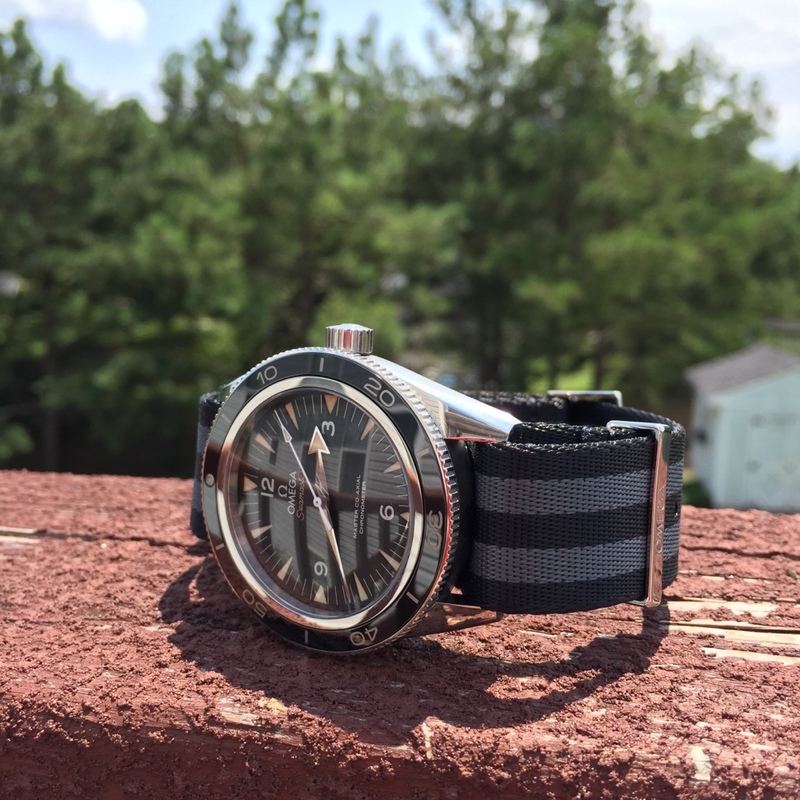 WatchObsession is having a sale so I ordered a canvas Bond NATO and a perlon strap for my 300 MC. Yes, both straps cover the display back but they are for casual wear and I will put clear tape on the back to reduce the risk of damage. I'm still pondering a nice dress strap. thestrapguy and Lealole like this. 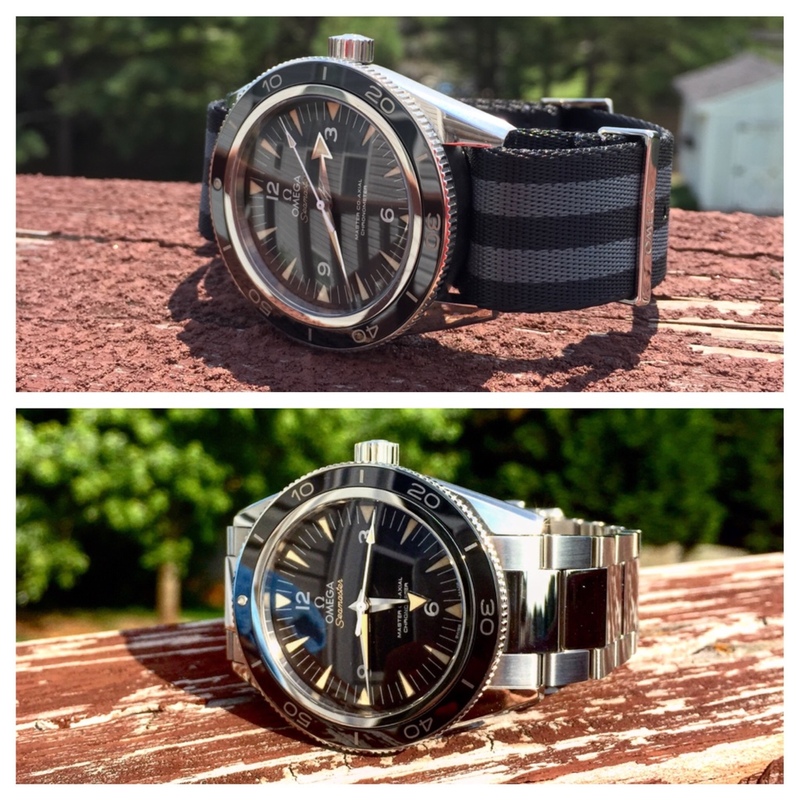 Just received my second Omega NATO strap today...the "Bond" black/grey. 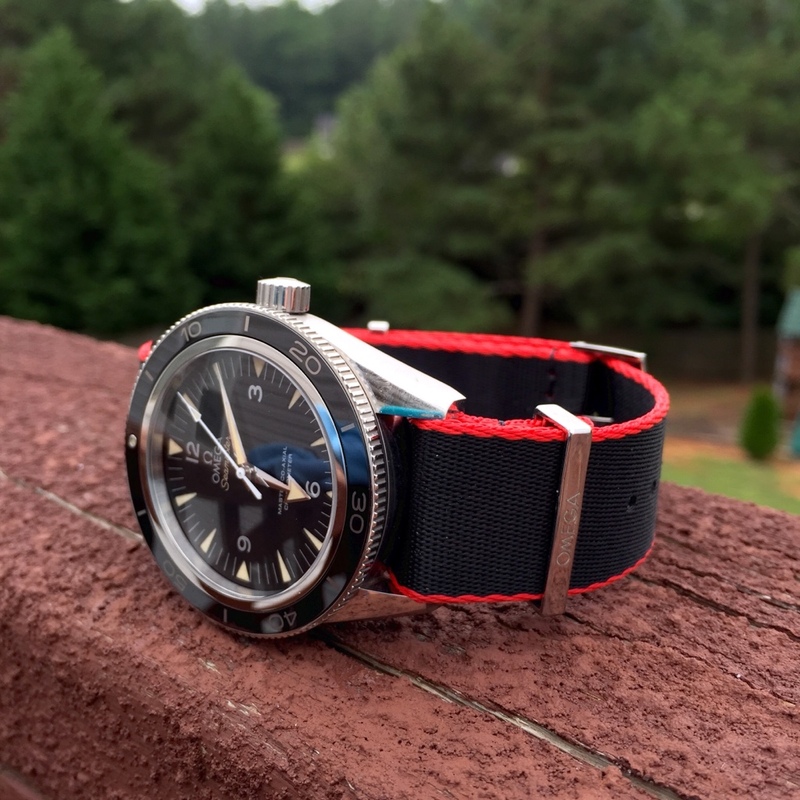 Here's a shot of it mounted, the black/red Omega NATO mounted, then a side by side shot of the Bond Omega strap next to the stock bracelet. 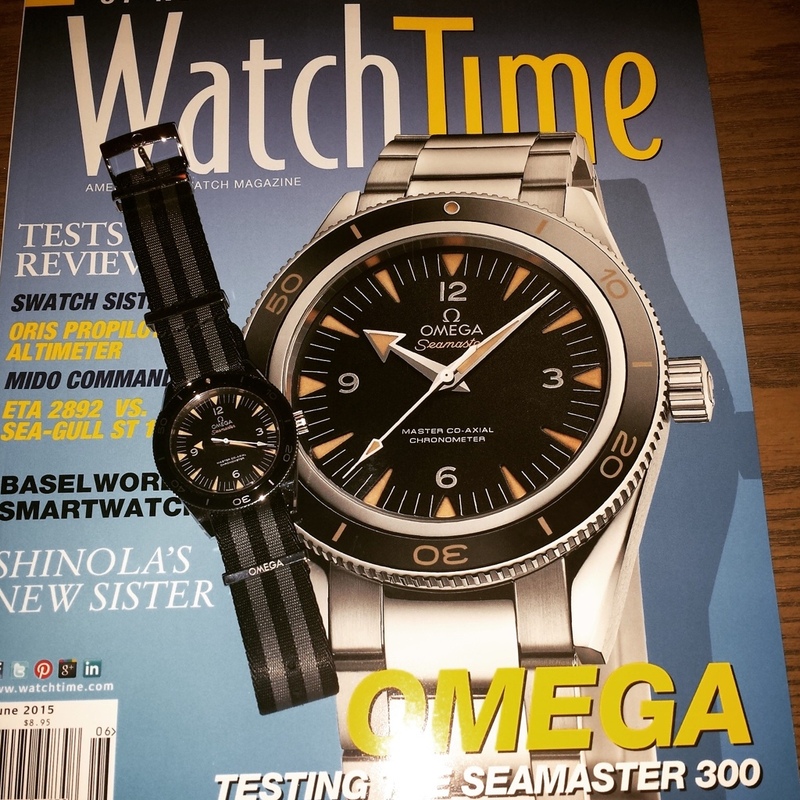 subdiver, jmsrolls, Horoticus and 6 others like this. Horoticus, snakeinthegear, Lealole and 1 others like this. SM300m with Horween leather strap with direct sunlight and indirect sunlight.. I Love this strap!! This watch is so versatile, looks great on all these straps & of course the bracelet. I will never flip this watch, to much character & class plus the technology & bracelet design simply can't be beat!! Horoticus, dawiz and thestrapguy like this. I Love it too. But maybe a small date function at the 6 will make it perfect! A small one. It may just work! Nah, if they're going to do it...be consistent and do it at the 3 o'clock position like the earlier iteration. Yes, no or maybe - still a helluva timepiece. Last edited by imranbecks; July 24th, 2015 at 05:49.
thestrapguy, dawiz, Lealole and 2 others like this.